Ceiling fans are so fun to shop for!!! Said NO ONE ever. Visually, I would prefer a beautiful light fixture over a ceiling fan any day of the week but I have admit, we looovee the feeling of having ceiling fans in our bedrooms. When we first moved in, I thought we would change out the fans in our bedrooms and sunroom. After living with them for a couple months, there is NO way we are changing them out any time soon. It is such a nice feeling to have air circulating through the rooms that we use them every night in both of our daughter’s rooms and full blast in our own bedroom. 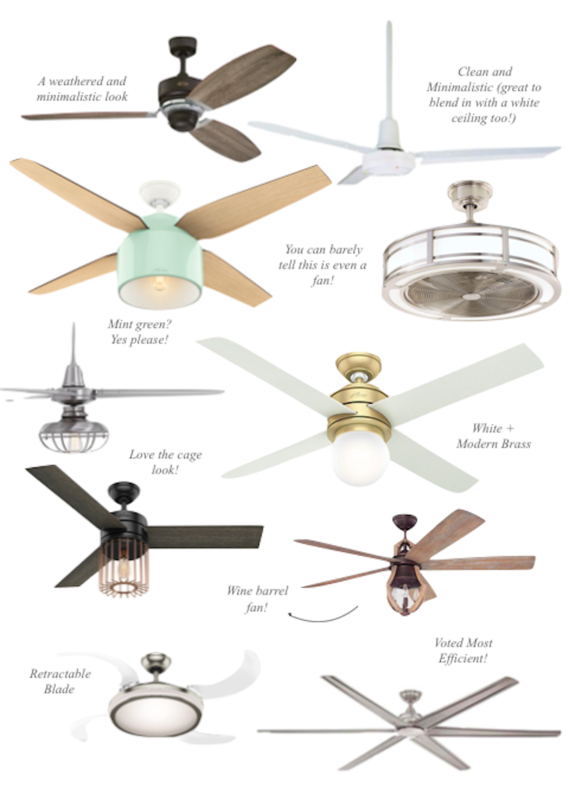 Also, I just discovered you can design your own custom ceiling fan with Lamps Plus! It wouldn’t work for this project but I’m definitely keeping this in mind for the future!